By Jason Price 3 Comments - The content of this website often contains affiliate links and I may be compensated if you buy through those links (at no cost to you!). Learn more about how we make money. Last edited July 22, 2010 . Most people are busy learning about a 401(k), taking steps to set it up and choose the right investments. 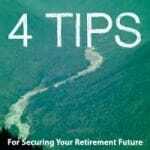 But how often do you think about what will happen to your retirement savings if something were to happen to you? To be honest, such thinking has been off my radar screen, but after getting a nice reminder in the Dallas Morning Newspaper earlier this month, I know I need to check to make sure things are in proper order. As an aside, so much of good personal financial management is staying organized, simplifying and making sure you're on top of matters. It's extremely important to make sure your beneficiary information is up to date, or that you establish who they are. Sometimes people forget to change them after a major life event such as a new marriage, divorce or when someone gets remarried. I didn't realize this, but you have to actually name your beneficiary in your 401(k). Specifying a beneficiary in your will, at least according to the article, is not enough. However, if you're married, according to federal law, your surviving spouse is the automatic beneficiary. If you want it to be someone else you definitely have to specify it. Dont' forget to list a contingent beneficiary in case your spouse passes away before you do. Listing beneficiaries is important for singles too as your retirement plan could end up in court if you don't specify a beneficiary. Okay, so how do taxes work if something were to happen to you? Your spouse can role the 401(k) directly into an IRA and continue to let the money grow tax free until age 70 1/2. Your spouse can also roll the funds into an inherited IRA in which the first minimum distribution must be taken one year after death. Distributions are taxed, but there are no penalties. What if you're someone other than a spouse? You can't roll over the funds into a regular IRA, but can set up an inherited IRA to avoid tax penalities and withdraw the minimum amount required by the IRS. How Do You Handle Multiple Beneficiaries? If you name your spouse per stirpes, the money would flow equally to the children. Let's say you have grandchildren, too. If one of the children happened to die, that child's share of the money would then flow to that person's children equally. So, while it's not great to think about such matters you can see why doing so is important. I don't know about you, but I'm off to double check my beneficiaries. Oh, there is one final bit advice which I thought was good. Make sure you tell someone about your decisions. You need to keep beneficiary forms in a safe but accessible place. I would recommend creating a special file for your will and other such forms in case someone close to you needs find them. What do you think about these tips on handling beneficiary information for your 401k, inherited IRA, or other retirement accounts? Last Edited: 22nd July 2010 The content of biblemoneymatters.com is for general information purposes only and does not constitute professional advice. Visitors to biblemoneymatters.com should not act upon the content or information without first seeking appropriate professional advice. In accordance with the latest FTC guidelines, we declare that we have a financial relationship with every company mentioned on this site. Lead tech projects by day - write about money at night. I'm on the journey to financial freedom so I can give more of the resources entrusted to my care. Read more at jasonrprice.com or connect with me on Twitter. That whole beneficiary part is SUPER important! There was a Supreme Court Case in Jan of last year that upheld a bene choice from the 70s despite being divorced from that person for 20 some-odd years! I am happy you covered the Inherited IRA. So many people are not aware that this exists since luckily they haven’t had a loved one pass away.